Acne Scars: What Is It And How To Get Rid Of Acne Scars? Acne Scars: What is it? Acne scars are the remnant signs of pimple break outs that can cause the skin, usually the facial skin, to appear damaged, uneven and darkened. Besides this physical effect, the psychological impairment i.e. the emotional strain and lack of confidence caused by acne scars is quite considerable, and prevent the affected individual from leading a normal life. This is why one needs to be proactive and meticulous in their treatment. 1. Hypertrophic or Keloid Scarring: This type of scarring occurs when the body produces excessive collagen to heal wounds caused by acne, which leads to the development of a raised tissue mass on the surface of the skin. 2. Atrophic or Depressed Scarring: These scars occur due to tissue loss. ‘Icepick’ depressed scars are small, but noticeable whereas ‘boxcar’ scars are round / oval depressions with steep, angled sides that resemble chickenpox scars. How to Identify Acne Scars? Pigmentation spots, usually pink or brown, are often mistaken as acne scars when they are just the normal leftovers of a healed pimple. These spots, also called post inflammatory hyper pigmentation, are not scars and gradually disappear on their own usually fading from reddish pink to brown and then vanishing completely over a period lasting between six and twelve months. You can also use medical therapies to speed up this process. True acne scars on the other hand, are the results of inflammatory acne that occur either in the form of depressions or elevations of the skin’s mass. ‘Icepick’ scars have a small, pitted appearance; ‘Boxcar’ scars are angled depressions that commonly occur on the cheeks and temple; rolling scars are a type of acne scar that give the affected skin an appearance resembling waves. Why do You Get Acne Scars? Acne scars are normally caused by inflamed acne that results from pores of the skin swollen with bacteria, dead skin cells and excess oil. When the pore becomes swollen, it causes a break to occur in the wall of the follicle which results in lesions. Shallow lesions aren’t a big problem and heal rapidly on their own. 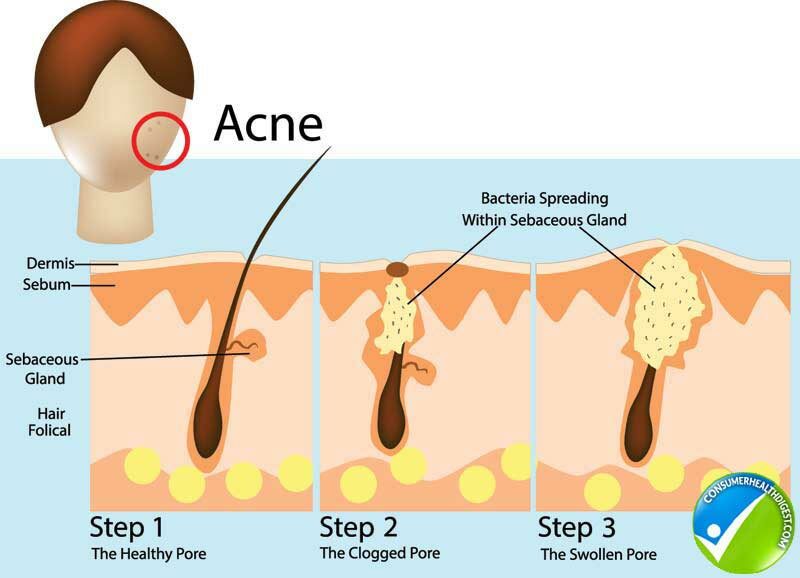 However, a bad case of inflamed acne can cause a deep break in the pore’s wall which causes the septic material to enter into the surrounding skin tissue which results in deeper skin lesions. The skin tries to fix these lesions by itself by forming collagen, but the repairs don’t have an end results that is as good as the original skin i.e. scarring occurs. Why You Need to Treat Acne Scars? Acne scars need to be treated because can cause the effected person emotional stress due to their unsightly appearance which may make it difficult for them to socialize or go about their routine life. The treatment improves their skin and restores their face to its original appearance, hence allowing them to live a life without feeling conscious about their looks. Chemical Peel: Mild scarring can be treated effectively using this therapy which works on the scars by removing the top most layer of the skin which has the worst condition because of the scars. The new layer beneath it will have a smoother texture and more natural tone. Chemical peels employ a solution that consists of glycolic, tricholoraetic, salicylic or lactic acids, which is used to damage the top layer of the skin so that it ‘peels’ off, leaving behind a fresh layer. Laser Resurfacing: This is an advanced treatment to reduce the prominence of acne scars. It zaps away the damaged skin tissue using a precision laser pulse which also stimulates the formation collagen which leads to a tightened skin and less visible acne scars. Microdermabrasion: This technique also gently removes the skin’s top layer which leads to the formation of a new layer of skin that is smooth and soft, so that the appearance of your acne scars is reduced. Keep in mind that this treatment only works for shallow scars because it doesn’t target the deep layers of the skin. Punch Graft: This technique is employed by dermatologists to reduce the appearance of deep acne scars i.e. ice pick scars. The scarred skin is cut out and replaced by skin extracted from the back of the ear. Once it heals, the appearance is considerably smoother and can be augmented by mild treatments such as chemical peels and microdermabrasion. Home Remedy Solutions: You can try out simple, natural home remedies to lessen the prominence of your scars if you’re on a budget. Lemon juice is naturally acidic so it can be used for skin bleaching purposes. Essential oils from lavender and rosewood, sandalwood paste, cucumber slices and honey all possess the property of lightening acne scars. Acne Scar Cream: If you don’t want to have to visit your dermatologist or can’t deal with healing time required by clinical solutions, you can opt for over the counter creams such as Zeroblem to take care of your acne scars at home. These creams often require a degree of patience since they work gradually over time. Exfoliate – This can reduce the visibility of your scars, get rid of dead skin cells and decrease the scars’ depth. Consume fiber – Fiber gets rid of the body’s toxins that may block pores which results in swelling, bursting and consequent scarring. Exercise – By increasing blood flow in the body, working out ensures that your skin gets its fair share of nutrients and oxygen; the sweating which occurs during the exercise has a detoxifying effect which prevents the occurrence of cysts that can cause scarring. Tan – exposing your skin to the sun for extended periods of time can increase the visibility of your acne scars by causing them to darken. Irritate Your Inflamed Skin – if your skin is already scarred or has acne, then you should not wash or scrub it excessively since it may reduce the skin’s elasticity and increase the prominence of the scars. Pick Your Scars – The bacteria which may be present on your fingernails may cause more cysts to develop which can actually increase the amount of scarring. Give up on Treating Your Acne Scars – Recent techniques, some that don’t even require invasive surgery, are at your disposal to reduce both the appearance and the depth of acne scars. Acne Scars: Do They Disappear Forever? Getting rid of acne scars can be challenging as they are permanent. It occurs after the acne lesion healing process and color changes remains for months. Acne scars begins when it repair the damage tissue replacing by creating new collagen fiber. Even though acne scars can be treated, no scars will disappear as the skin damaged at dermal level. Dermal is the layer between the outer layer of the skin and tissue. Treatments are only done to reduce size, color and appearance of the acne scar. There are different types of procedures to get rid of acne scars depending on the presence of the scars. One of the most effective procedures is to go through surgical. It can be expensive as well as insurance may not be covered. Fillers add volume to the skin by flattening the scars. The method is temporary and need regular intervals for injection. A needle is inserted under the scar and moved underneath the skin to remove scar tissue. It is commonly used for atrophic scars and local anesthetics is applied during the procedure. Acne scar may be less appear after pulsed light sources and radiofrequency device helping without damaging the outer layer of the skin. However, this procedure is expensive and only for short-term benefit. Treating acne and the scars it leaves behind depends on the severity of your acne and the persistence of the scars. Acne is usually categorized into mild, moderate and severe based on the degree of its severity. 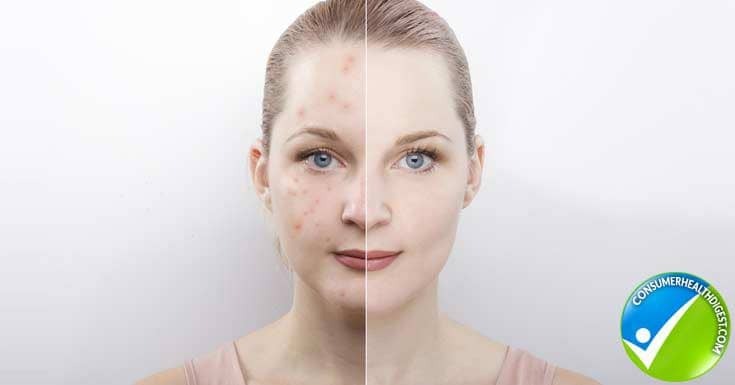 Doctors may use multiple acne treatments at the same time in order to obtain optimum results and to prevent the acne causing bacteria from becoming resistant to drugs. The treatment may include gels or lotions that you apply on the blemishes or, in some cases, to the entire affected area of skin e.g. back or chest – this is called topical medication. Your doctor may also prescribe oral medication for acne treatment i.e. the ones you ingest by mouth. Gently cleansing the skin using mild soap (e.g. Cetaphil or Dove) and warm water. You should seek a doctor only after these treatments have no effect on your acne. The doctor can prescribe creams or lotions that are more effective; antibiotic or exfoliating creams are also worth a shot. More pronounced, persistent acne with deeper blemishes e.g. cysts and nodules, has a greater chance of leaving behind acne scars, which is why your physician may prescribe you with oral antibiotic medicine early on in order to get rid of them. Oral Treatments: Severe acne that leads to inflammation is the most common cause of persistent acne scars. Oral treatment using the drug isotretinoin is a potent way to nip the problem in the bud. You need to take one or two daily doses of this drug for about 16 – 20 weeks. Coming in the form of a pill, this drug takes care of excessive oil production, blocked skin pores, inflammation and P. acnes i.e. all four of the factors which lead to acne. It will get rid of chronic acne for several months to several years, and in many cases, one course of this drug will be enough to ensure that the acne doesn’t return. Because this drug may cause birth defects, it is prohibited for use by pregnant women and birth control is mandatory for women who plan to undergo, are currently undergoing or have recently undergone this treatment. Topical Treatments: Topical treatments include bleaching creams, Vitamin E medications, Glycolic Acid and Lactic Acid. Bleaching creams can help reduce the visibility of darkened acne scars and acne spots – physicians advise those creams which contain 2% hyroquione. Follow the instructions that come with the cream to prevent damage to healthy tissue. Vitamin E is a potent antioxidant that aids the skin in fighting free radicals, healing and producing new skin cells. Daily topical application, either from a Vitamin E capsule or an ointment that has it as an ingredient will help your skin heal, and soften and diminish your scar’s appearance. Glycolic and lactic acids are both used in chemical peels because they are compatible with all types of skin and have the ability to rejuvenate the skin by removing the topmost, injured layer. They get rid of your scars by removing each successive layer of skin that is scarred until your new skin is free from blemishes. Home Remedies: Ice cubes, honey and lemon juice are three of the simplest and easiest home remedies for dealing with acne scars. Application of ice cubes for five minutes daily, of honey overnight, and of lemon juice for around 20 minutes daily will visibly reduce your acne scars and may even remove the damaged tissue. This Infographic – Treatment for Acne Scars – How To Remove Acne Scars? – Was Created By Consumer Health Digest. Do not smoke, since smoking empties the oxygen reserves of the skin, causes deposition of toxins and damage from free radicals – all these factors contribute to making the skin more vulnerable to scarring. Do not squeeze / extract your pimples by yourself since this can cause additional trauma to your skin making it harder for the skin to heal and increasing the likelihood of scarring. Avoid direct exposure to the sun if you are undergoing prescribed acne treatment. Stay clear of buff puffs and abrasive scrubs since they can damage healing skin and erupt fresh pimples leading to the spread of bacteria – both these effects can aggravate scarring. Surgery treatment of acne scars may sometimes be not suitable for everyone. There are also other natural cures to get rid of acne scars. These creams contain salicylic acids and antihistamines to reduce inflammation and remove itching. Topical creams are available both over the counter and prescribed. This treatment of acne scars is common for hypertrophic scars with raised tissue. Massage and pressure bandages are used for smoothing out the build-up scar. The treatment needs to be repeated and may take months to see the results. The treatment may not be suitable for everyone as tea tree oil can have allergic reactions to people with sensitive skin. The oil smoother and heal skin. Vinegar acts as a peeling agent similar to chemical peel process. It removes the outer layer of the skin which then replaced by new skin cell. Applying lemon or lime juice on the acne scar lighten the color of the scar. Imperfections on the skin lose your confidence level and lack of self-esteem. Controlling acne alone can be difficult, having acne scars are more challenging. There are a variety of ways to remove acne scars without going through the surgery or laser treatments but scars will remain even it reduce color, size and improve appearance. Remember to choose the right procedure as not every procedure is suitable for everyone. Consult with dermatologist which is the best treatment to get rid of acne scars. Some procedures can be expensive and treatment is for short-term benefit only. Natural cure for acne scar is one of the simple ways of alternative option to consider. Can You Prevent Acne Scars? Preventing acne scars is all about following a healthy lifestyle with plenty of exercise, consumption of fibers, abstinence from smoking, and, most importantly, not picking on your pimples. When Should You Consult a Dermatologist? There is no reason to feel alienated because of your acne scars. Acne is a condition that affects between 40 and 50 million American citizens. At least forty percent of those who get acne in their teens develop acne scarring that requires treatment. You are not alone in your fight against acne you should feel confident about pursuing a treatment to get rid of your acne scars. What are the Natural Remedies for Skin Eruptions, Rashes & Blemished?